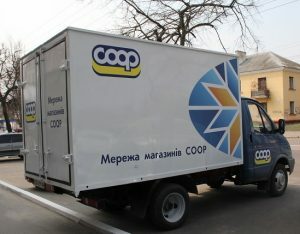 There are more than 14,000 cooperative stores in the trade area under the sole brand of СООР Ukraine. 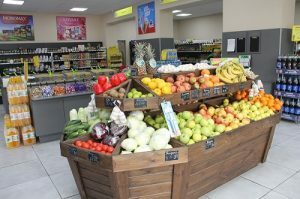 Almost 80% of the retail chain, these are stores with a retail space of up to 100 square meters and are located predominantly in the countryside. Trading objects are mainly for the sale of food products. There are also shops for the sale of non-food products, including economic, building materials, cult goods, furniture, etc. Much of the trading network operates in accordance with the standards of store-shops. 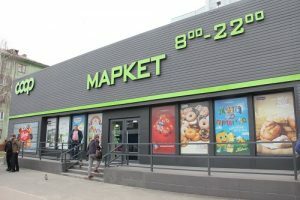 In the total number of such objects, several specialized markets for the sale of alcoholic beverages, express market, online store for the sale of foodstuffs. In the part of the markets consumers are offered hot baking mini-bakeries, as well as culinary and confectionery products of their own production. Under the same brand, there are more than twenty pharmacies, including veterinary ones.